The depressed person is a radical, sullen atheist. Abjection is above all ambiguity. Because, while releasing a hold, it does not radically cut off the subject from what threatens it on the contrary, abjection acknowledges it to be in perpetual danger. It is such a memory, which, from stopping point to stopping point, remembrance to remembrance, love to love, transfers that object to the refulgent point of the dazzlement in which I stray in order to be. Naming suffering, exalting it, dissecting it into its smallest components – that is doubtless a way to curb mourning. The abject is simply a frontier, a repulsive gift that the Other, having become alter ego, drops so that the “I” does not disappear in it but finds, in that sublime alienation, a forfeited existence. The other that will guide you and itself through this dissolution is a rhythm, text, music, and within language, a text. But what is the connection that holds you both together. 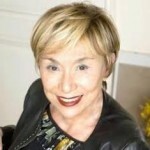 Julia Kristeva is now a Professor at the University Paris Diderot. Kristeva became influential in international critical analysis, cultural theory and feminism after publishing her first book Semeiotikè in 1969. Her sizable body of work includes books and essays which address intertextuality, the semiotic, and abjection, in the fields of linguistics, literary theory and criticism, psychoanalysis, biography and autobiography, political and cultural analysis, art and art history.